Need to create a post-course evaluation? If you've been tasked with designing an e-learning course, one of the things you may need to do is develop a post-course evaluation. That's actually what prompted me to write this blog post: a community member posted saying he needs to create his first end-of-course survey, and was looking for suggestions and information from others. I wrote him a pretty detailed reply, and thought it would make a nice post that other newbies might use as a reference to learn from. What is a post-course evaluation, anyway? A post-course evaluation is a document distributed to e-learning participants at the end of the course. It has questions designed to help you gather information about how the learners felt about the course, and how much they feel they learned. One important thing to be aware of is that post-course evaluations tend to measure participants opinions and their personal feelings about an e-learning course, not the actual amount of learning that occurred, or how the business was impacted by training. To measure the impact of training on an organizations bottom line, you'd need to take some other steps, which I can explore in a separate post. That aside, you can still glean some insight into what your participants liked and didn't like about your e-learning course, and how satisfied they feel with it, by administering a post-course evaluation. With the data you collect through this evaluation, you should be able to improve that course and future course designs. What tools are available to create post-course evaluations? There are some well-known free (and some not free) survey tools available online, notably SurveyMonkey and Google Docs (Build an Online Survey Using Google Docs). These applications allows you to easily create a survey and insert various question types, and then notifies you by e-mail (or some other way) when people respond to your survey. These survey tools also allow you to easily look at and gather the results of your survey. There are some interesting forum discussions about people who have the most common tools for post-course evaluation purposes: Survey Reporting Question, Advice on Creating an Evaluation Form. 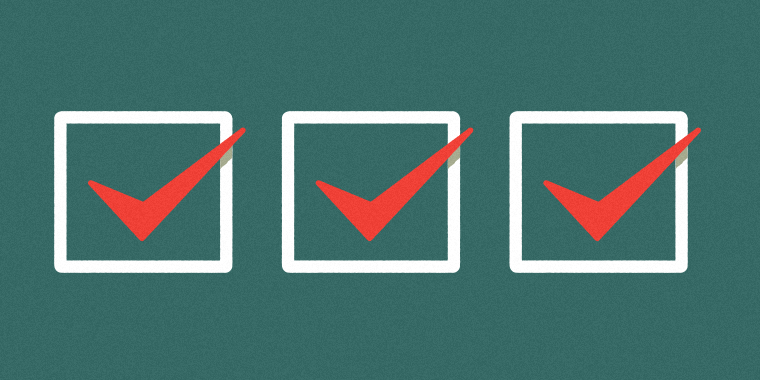 What questions should be included in a post-course evaluation? Did you like the training? What topics should be added or omitted? In Defense of Post-Course Evaluations, Going Beyond the "Smile Sheet"
Hopefully with this information about post-course evaluations you'll feel more confident to create your own! And if you do, I'd love to see your templates or examples in the forum sometime! Haha Ashley I love that Beyonce comment. And I agree, it's a really important and valuable piece of the pie that helps us improve. Nicole, this is great!! I agree with everything Ashley commented on as well. It's my experience as well that assessments are not utilized nearly as much as they should be. The other problem I have had with assessments is that when I can get stakeholders and trainers to agree to them, a number of attendees filling out the assessments don't put much thought into them. All though, I will say that a former colleague and I were compared to Majic Johnson and Karem Abdul-Jabbar on an assessment. We were referred to as an unstoppable pair. Hi Nicole, Great topic! However, my experience has lead me to be pretty skeptical of the value of immediate post-course evaluations. I used to work for an adult-ed program, and we had instructors who consistently got high ratings from the students, yet the students didn't show any gains on the required tests, and their scores sometimes even went down. These were instructor-led courses, rather than eLearning, but I still think you should not expect there to be much correlation between positive course evaluation and actual learning. Hi Nicole, I have to agree with Christian. It is a great topic that is all to aften ignored as a lot of companies and organizations look at eLearning through "fire and forget" glasses. I also think there is value in the immediate post couse evaluation. However, I think that the only way to measure true ROI or training effectiveness of any education program (ILT or eLearning) is after a period of time has past since training and they have had the opportunity to put into practice the skills or knowledge they learned. Hi Nicole, I have created a post course evaluation but for some reason I can seem to figure out how to extract the evaluation results? I don't know if its an issue with my LMS or whatever?... Any tips or advice would be much appreciated! Hi Nicole, this is very helpful! But already a few years old. We need to create our first post-eLearning-course evaluation and it's not that easy as I thought. For getting a short high quality end-of-course survey I need more Information. Are there any new helpful tips in this community? Would be much appreciated!